We have explained all you need to know about the Jawa trio in our detailed walkaround video right from the launch floor yesterday, so do check it out! 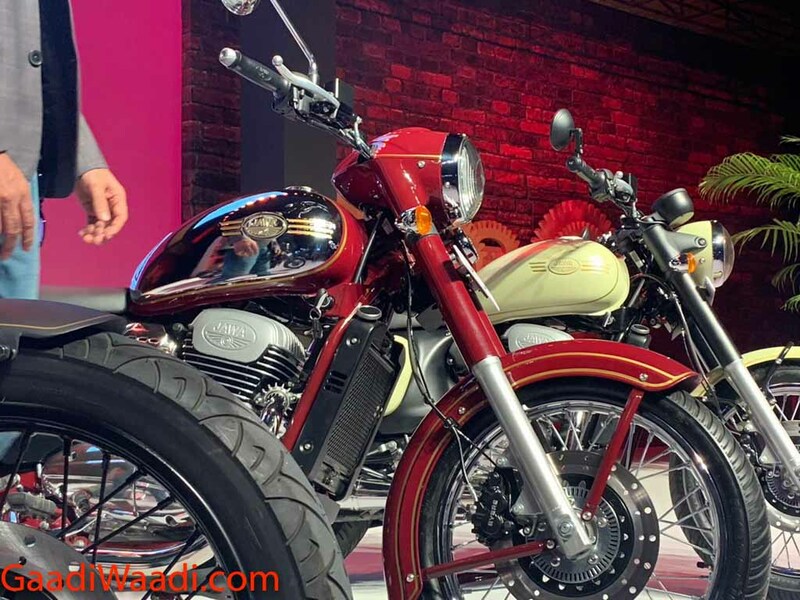 Jawa Motorcycles India has made a strong impression on its comeback to the domestic market by launching three new models yesterday. The Mahindra-owned company has introduced Jawa, Jawa Forty Two and Jawa Perak and each pertain to different set of customers with aggressive price tags of Rs. 1.64 lakh, Rs. 1.55 lakh and Rs. 1.89 lakh respectively (all prices, ex-showroom pan India). The namesake Jawa takes us back to the past with vintage styling and it shares basic design with the Forty Two, which is more modern in its appeal. The Forty Two has aggressive rider’s triangle and boasts unique graphics and instrument console in comparison. Both the motorcycles use a 293 cc liquid-cooled DOHC single-cylinder engine to produce 27 bhp. The Jawa Perak bobber, on the other hand, has a distinctive road presence and is unlike any other bike in its price bracket. It also uses a higher capacity 334 cc motor to develop 30 hp and its price is more than justifiable due to the availability of Pirelli tyres, dual disc brakes, matte black finish, monoshock rear suspension, etc. Jawa has finalised 105 dealers and of them 65 dealerships will be operational from early next month along with providing test rides. The Jawa Perak will go on sale later, unlike the Jawa and Forty Two that can be booked online right away. The company targets entry-level Royal Enfield 350s with its domestic range. Especially, the Jawa and Forty Two are pitched against the top-selling Classic 350 with bang-on-head pricing. Our walkaround and specs explanation video from the launch floor will give you an earlier access to what the new Jawa motorcycles are. So make sure to check it out!